If you want to experience gumbo, take a trip through the South, most notably, a trip to New Orleans. No time for that? Then try a recipe tendered by Southern cooks. 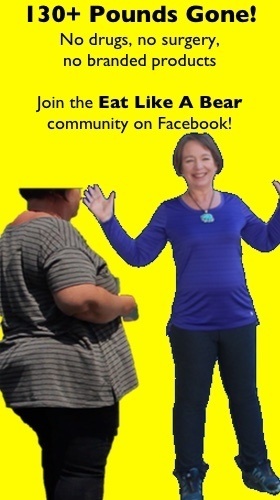 I found this one offered by a farmers market located to the east of Austin. 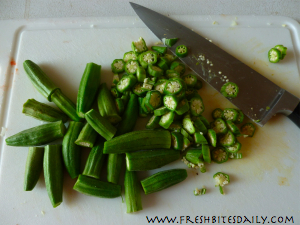 Judging by the number of okra recipes on the site, I figure the area is heavily populated by Southern-types. Gumbo is more a stew than a soup. Serve it as-is or serve it over steamed brown rice. Either way you have a satisfying meal. Make a large pot when the garden is in full production or put the gumbo together with the goodies that came from the garden to fill your freezer. 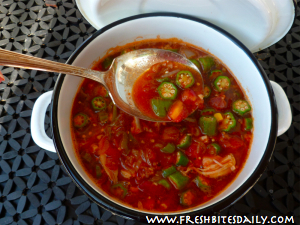 Enjoy the leftover gumbo later in the week or freeze it for winter. Either will work. You can see the original recipe which is more labor-intensive than mine. Cut down on your cooking time with some advanced planning. Left-over cooked chicken bits should be a staple in your freezer. That’s where mine came from. I also used frozen corn cut from cobs a month ago, roasted tomato paste that lends fabulous flavor, and frozen tomato chunks from the garden bounty that hit in August. The frozen items took time in the preserving, but now is the payoff. This is the time-saving part, so enjoy it. In a large soup pot saute the sausage and bacon until the bacon is crisp. Remove the sausage and bacon from the pan and set aside. Saute the onion and garlic in the pan drippings for about 3 minutes. Add the peppers and celery. Cook another five minutes. Add the thyme, corn, and tomato paste. Stir. Bring to a simmer. Add the hot chicken broth and the chicken along with the sausage and bacon that you set aside earlier. Bring the soup back to a simmer and allow the pot to simmer for about 15 minutes to let the flavors blend more and then add the chopped tomatoes. 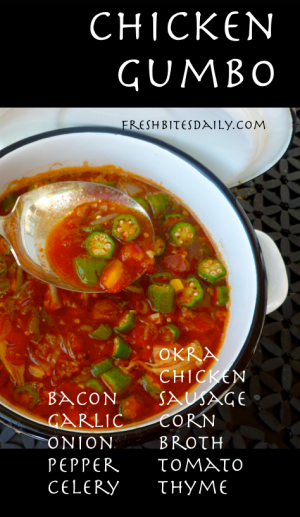 Add the okra and cook about 4 minutes. It will be cooked but will still be bright green. The tomato bits will be bright red. If you eat with your eyes, this is the place to dish up your gumbo. Some cooks allow the gumbo to simmer another hour. The flavor does improve a little, but the color is lost. You decide which you prefer. Serve your steaming gumbo with crusty sourdough bread or a good crusty corn bread and lots of butter.